I attended the African Street Style Festival in Shoreditch on 24th July I felt so proud to see the #BlackBritishExperience articulated via fashion it was truly a magical affair, the Ankara designs were from the Soboye boutique and styled by by Chi Chi Chinakwe, the fashion show left me feeling very proud and nostalgic remembering the Africans that came to Britain from the Caribbean islands & the African continent the Africans that made huge sacrifices, the Africans that paved the way for me to be a Fashion designer today. Overall the day was a – Fun – Friendly – Family – Festival – unfortunately I didn’t get any good shots of the fashion show because the fashion show area was jam packed, but I did captured the vibe of the overall day, take a look at my pics & let me know which photo is your favourite by commenting below. If you attended the event I would love to hear what you thought of #AfricanStreetStyleFestival2016 comment below. 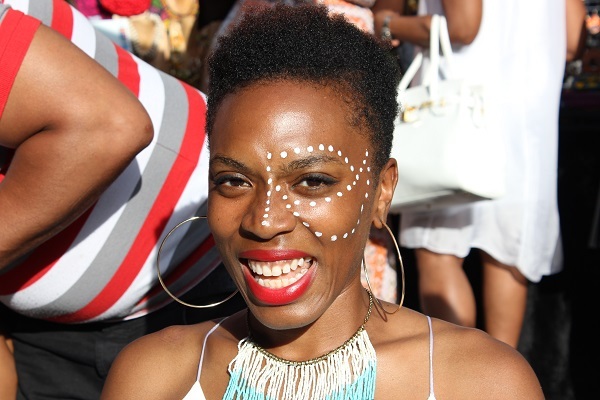 If you missed African Street Style Festival 2016 don’t miss it next year!